Deloitte Private has today announced the acquisition of a leading Western Australia-based tax and advisory firm. KD Johns and Co will join Deloitte’s Perth office effective 1 October 2014. The firm provides tax and advisory services to many of Western Australia’s wealthiest families and leading private companies. Michael McNulty, Deloitte WA office managing partner, welcomed the new team and said that the transaction highlighted Deloitte’s ongoing commitment to the West Australian market. “I am pleased to welcome Keith Johns, Martina Crowley, Marc Worley and Shane Cassey to the partnership”. “KD Johns and Co has excellent local market credentials and its focus on providing high quality service to its impressive client base makes it a perfect fit for our growing Deloitte Private practice,” Mr McNulty said. “With Western Australia forecast to remain the fastest growing economy in Australia over the next decade, we believe Deloitte Private will be a significant contributor to our growth. This investment further highlights our commitment to the private market in Perth." Keith Johns, managing director of KD Johns and Co, who will now lead the Deloitte Private Perth tax practice, said he was attracted by a strong cultural fit and increased growth opportunities for both clients and members of the team. “The focus of Deloitte Private strongly aligns with the philosophy of KD Johns & Co, and will allow our clients to benefit from the breadth and depth of professional services which won Deloitte both the Accounting and Audit firm of the year in 2013,” he said. 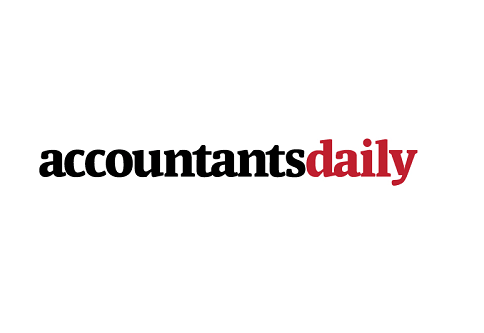 “I’m particularly excited about the innovative cloud accounting offering Deloitte Private Connect, and the access it will give my clients to Deloitte’s online portal and automated bookkeeping and benchmarking solutions,” Mr Johns said.